Dental anxiety is one of the most common reasons people avoid visiting the dentist. This prevalent phobia often deters patients from receiving much needed dental work and even the routine cleanings necessary to maintain optimal oral health. Fortunately, sedation dentistry – at our dental practice is designed to help you undergo both major and minor dental procedures without experiencing fear or discomfort. 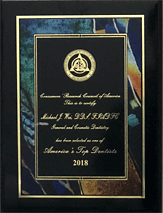 Dr.Wei our experienced cosmetic dentist, can utilize sedation dentistry to perform any treatment you may need while you rest comfortably in a deep state of relaxation. With one of our sedation dentistry techniques, Dr. Wei can ease your dental anxieties and help you achieve the highest level of oral health. Anxious about seeing the dentist for your dental treatment ? “Sedation Dentistry” ensures you’ll have an anxiety-free visit with complete comfort and relaxation with our “Gentle Dental” Sedation Dentistry. Initial Consultation – The more informed you are about your needed dental treatment, the more at ease you will feel during your visit. Dr. Wei will give you detailed information about your dental treatment before starting so you’ll know exactly what to expect and there will be no surprises. STA System which is an anesthetic injection” device that creates a virtually pain-free shot. This helps if you are fearful of injections. The STA system is an innovative and clinically-proven computer-controlled local anesthetic delivery system which provides more precise and pain-free injections.This results in higher patient comfort level. Nitrous Oxide which is better known as “laughing gas” is also available and makes you completely relaxed during your dental treatment. Prior to your procedure, you will breathe the nitrous oxide in through your nose and start to feel its calming effects after about 20-30 seconds. With this technique, you will generally remain conscious throughout the entire procedure, although some patients have been known to slip into a light sleep. There are typically no side-effects or after-effects associated with “laughing gas,” and most patients are able to return home almost immediately after treatment. Oral Medication is another popular choice which uses medicine (a “pill”) to help you completely relax during your dental procedure. Dr. Wei will provide a pill for you to take about an hour before arriving at our office. The effects of the pill will make you feel drowsy and extremely relaxed, so it is necessary that you arrange to have someone drive you to and from your dental appointment. Technology and Patient Comforts – When you visit Dr. Wei’s Midtown Manhattan dental office, you’ll feel like a treasured guest. We offer coffee, tea, and juice in our beverage bar, apples, and sugar- free candies.You are invited to put your mind completely at ease and relax in our treatment room while you enjoy a movie or listen to music with noise-canceling Bose headphones. Plus, you can use our aromatic candles for creating a warm and welcoming ambiance of tranquility and relaxation. We’ll also provide you with a warm neck pillow to make yourself even more comfortable during your time in the dental chair. And before you leave, be sure to freshen up with a warm, scented towel. 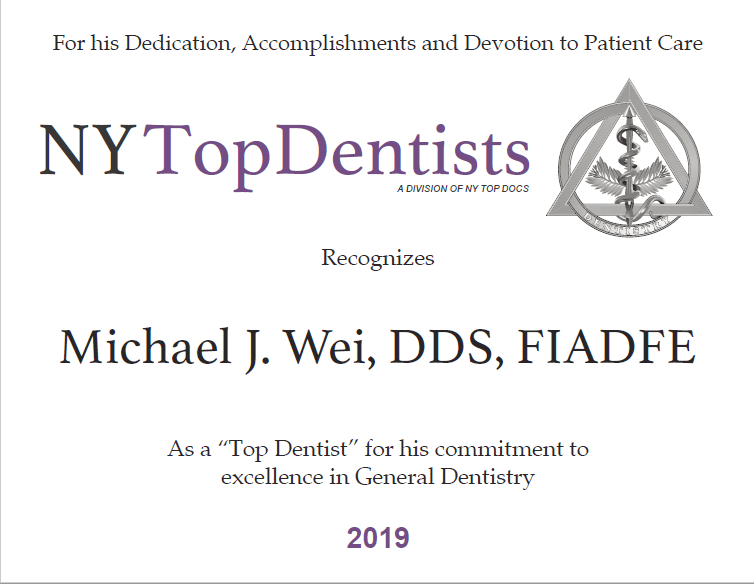 Dr. Wei and our team have invested in the training and experience to bring our Midtown Manhattan patients many state-of-the-art dental technologies and comforts. These include intraoral cameras and chairside monitors for convenient viewing and accurate diagnoses. Intraoral cameras allow us to project an image of an individual tooth or area of concern onto a chairside viewing monitor for use as a visual aid. Digital imaging allows us to show you what your new smile could look like before you commit to treatment. We’ll take digital X-rays for a comprehensive view of your teeth and supporting structures. Digital X-rays emit about 90% less radiation than traditional radiography, and the images can be quickly and easily transmitted via the Internet to insurance companies and specialists. Furthermore, we use an electric hand piece, which produces less noise and heat than a traditional dental drill. The Midwest I.D. handpiece is a high tech aid in identifying cavities in molars and pre-molars. This special handpiece is recommended for detection of cavities in pits and fissures and interproximal areas on posterior teeth that have not been restored.